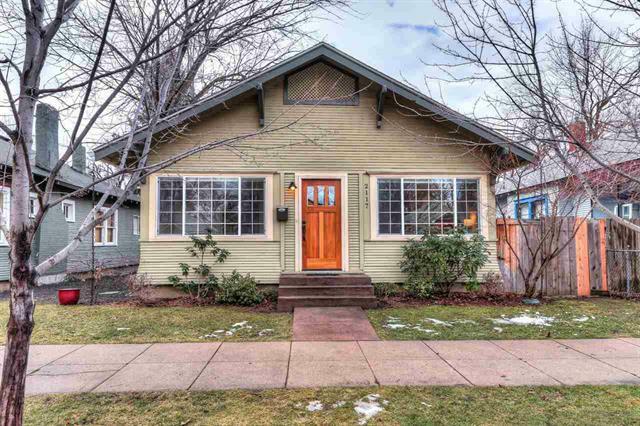 This greatly located Northend Craftsman Bungalow will give you low maintenance living. Ditch the car for your bike. Remodeled with new windows throughout. Kitchen has granite, stainless steel appliances, gas range. Office nook & sun room at front of home off of living room. Hardwood & tile floors, crown moulding, fireplace, vintage clawfoot tub. HVAC gets serviced twice a year. Minimal landscaping, deck, stamped concrete patio, large storage shed with electricity, hot tub with new cover for end of day relaxation.